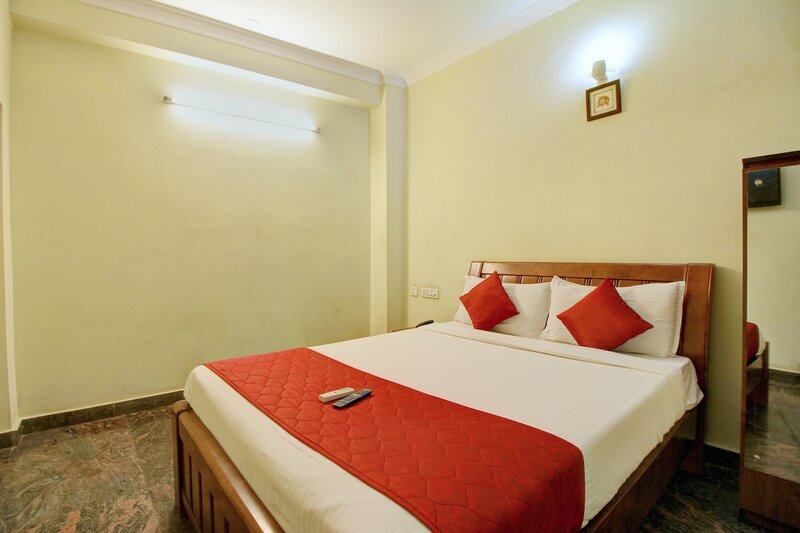 Hotel Syeds Inn is located on the School Road, Nandanam, Chennai. The location is quite close to both Nandanam Bus Stop and S.H.B. Bus Stop. Some of the popular places to visit in the city are Marina Beach Spot, Natesan Park and Victory War Memorial are located close by. The walls of the rooms are colored in an elegant cream color which makes them look pleasing. The rooms also feature a window that provides proper ventilation. Several amenities that the hotel offers include Free Wi - Fi, AC, Power backup, TV, Geyser, Card Payment, Laundry, and CCTV Cameras for security.